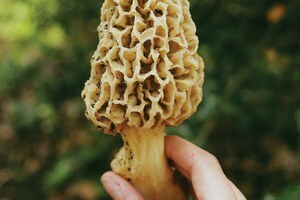 A writer has a holy experience while mushroom hunting in southern Oregon. 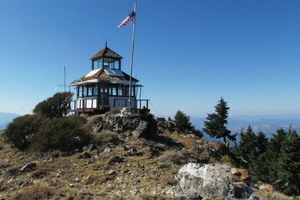 Nancy Hood has spent 50 summers watching for fires from lookouts in the smoky Siskiyou Mountains of Northern California. The U.S. Fish and Wildlife’s forensic lab in Ashland, Ore., tackles wildlife crime from around the world. In the Northern Rockies, gray wolves may be in danger of inbreeding. In the Rocky Mountain West, old mining claims are suddenly the newest real estate hot spots. Japanese Americans forced to leave college during World War II will get a "symbolic apology." The U.S. FIsh and Wildlife Service is pondering ways to protect rare desert tortoise from ravenous ravens. A new report shows salmon-killing dams would cost less to remove than to keep. Wyoming microbiologist Randy Lewis is fascinated by spiders – particularly by the remarkable silk they produce. Along the upper Gila in New Mexico, conservationists and the state squabble over managing the river's water. The wolf known as B-7 – the last surviving member of a group of Canadian wolves released in Idaho in 1995 – has died. The Forest Service is making changes that promise to improve the quality of life for the workers who thin and restore the nation's forests. HCN hosts panel discussion in Berkeley about the West’s political future; notes from readers Mark Salvo and Michael Green. New winter interns Erin Halcomb and Michelle Blank; HCN wins Utne press award; Crystal Zevon visits; corrections.